This well appointed three bedroom house offers comfort, style and tranquility all within walking distance to Byron Bays beautiful beaches and town centre. Situated in a peaceful residential area the house is fully fenced with well established gardens and a lovely deck to relax and unwind. The main and second bedrooms catch the summer breeze from French doors opening onto the north facing deck, while the third bedroom is air conditioned. The spacious lounge room has a cosy fireplace for winter nights. The sun drenched atrium dining room, with rosewood concertina windows is the perfect place to enjoy a relaxed dinner or an afternoon nap on the daybed. The Genie House offers a unique, comfortable design with a stylish open plan decor for your next Byron Bay holiday. Experience the unique atmosphere of Byron’s town centre. Close to everything Byron has to offer including a variety of restaurants, cafes and boutiques right on your doorstep. The pristine beaches of Byron Bay are only a short leisurely stroll from your holiday accommodation. The Genie House is a 5 min walk to town and a 10 min walk to Clarkes Beach. Security Bond $500 Sorry but the majority of guests must be over 21 years of age. 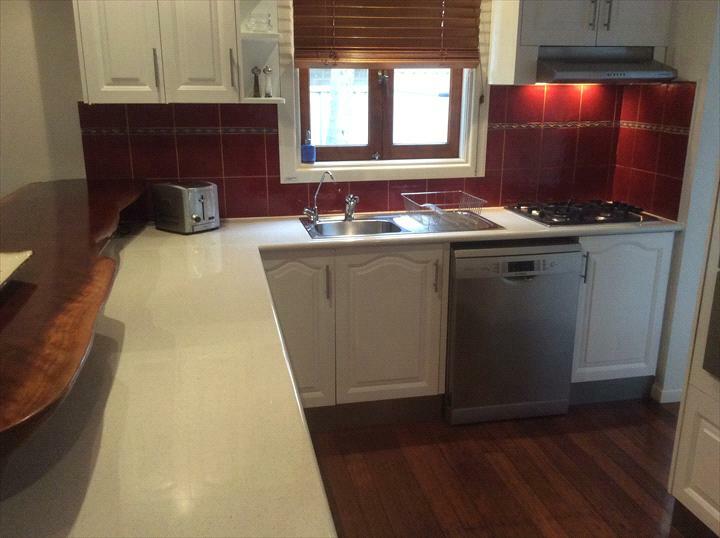 This house has everything you could need while on holidays in beautiful Byron Bay. Very tastefully decorated and thoughtfully appointed. Great location being only a short walk to anywhere, and lovely and quiet. The light and airy conservatory at the front was a VERY popular spot for each of our family members! We'd love to visit again.